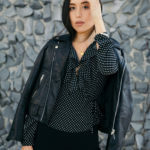 I’ve been on the man-blazer train since last winter (see how I styled a vintage-inspired one here), and it feels like the trend is on steroids this fall – which I’m completely ok with. They’re everywhere, in every variation from checkered to velvet and everything in between, which makes deciding on the perfect one nearly impossible. I’ve been searching for the right fall blazer for months (no exaggeration), and was just about to pull the trigger on a much more expensive one when I accidentally stumbled upon this beauty during an emergency stop into H&M. I was desperately looking for bomber jackets (which I still am!! ), and left with this blazer instead. What I love about it is that it encapsulates the oversized manly blazer vibe while being way sexier. It has a cinched back and sharp shoulder pads, which gives me the illusion of hips and a tiny waist – yes please. 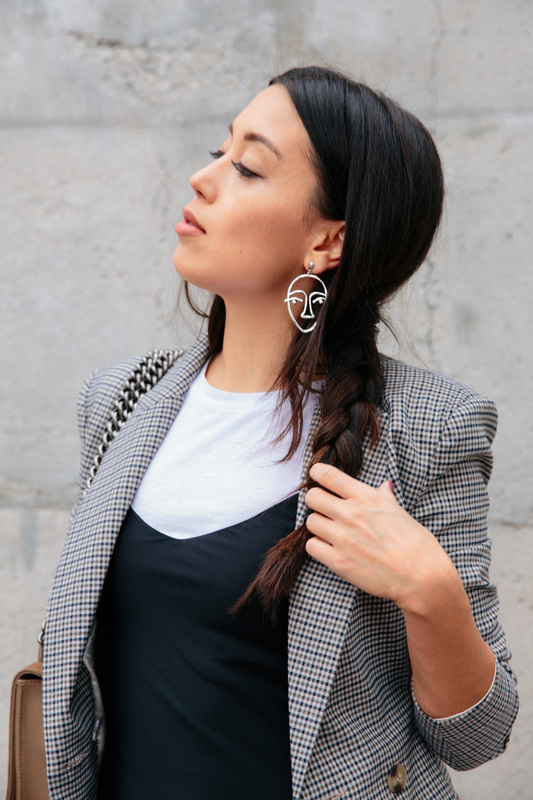 It’s dressy enough to wear with a work-to-drinks look like this, but cool enough to style with a tee and jeans – which you’ll be seeing me wear on the ‘gram ASAP, no doubt. If you’re like me and you love the blazer trend but feel like it looks awkward on you, opt for a more tailored piece like this one. As much as I love the oversized grandpa blazer thing, every one I tried on looked like a sad sack of plaid on my body type. Extra points if you can find one that fits well, looks high end, and is still affordable. The best part about this one? It was less than $50!